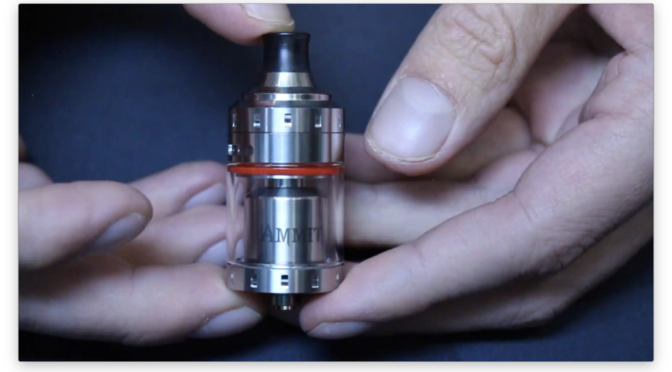 The Geekvape Ammit MTL RTA was sent to me for review from HeavenGifts.com. You can get it here for $32.90 (affiliate). They claim that it’s a leak-proof design and I’m not entirely sure that’s true. It was great for a while but then randomly I had e-juice all over my backpack. I’m not sure what happened or how it happened, but I can’t recreate it. It only happened once. But most of the time I leave it laying around on its side in my backpack and haven’t had any other leaks. 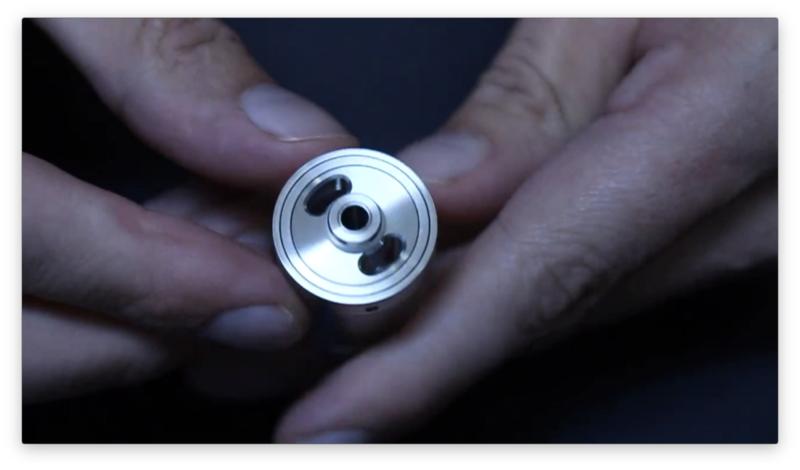 Geekvape also says that the dual layer chamber structure is designed for heat dissipation. The top cap doesn’t get hot at all, so it seems to work fine, but again, this is a low-wattage tank, so it’s not likely to get hot anyway. 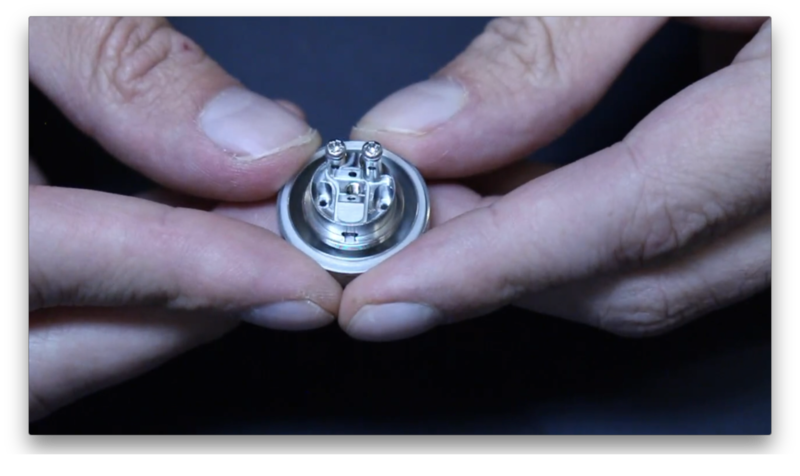 The drip tip comes in two pieces. The plastic piece unscrews from the metal piece. There are two plastic tips and each one is a different size. 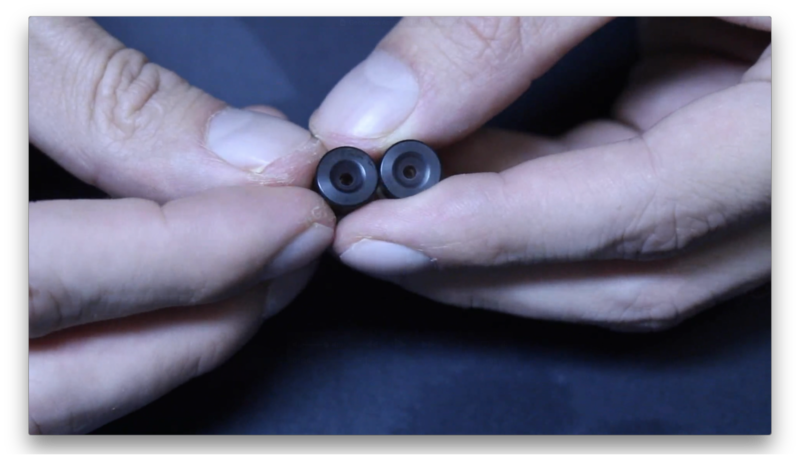 One is 2mm in diameter and the other is 3mm in diameter. I’ve tried both tips and I can barely notice a difference at all, but someone more attuned to tight-draw vaping might be able to tell better than me. It’s nice that they included it. 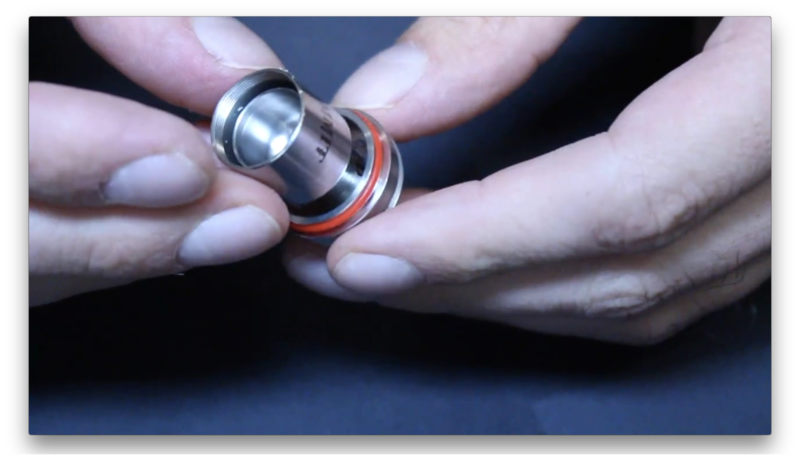 The entire metal piece comes out so that you can use your own 510 drip tips too. 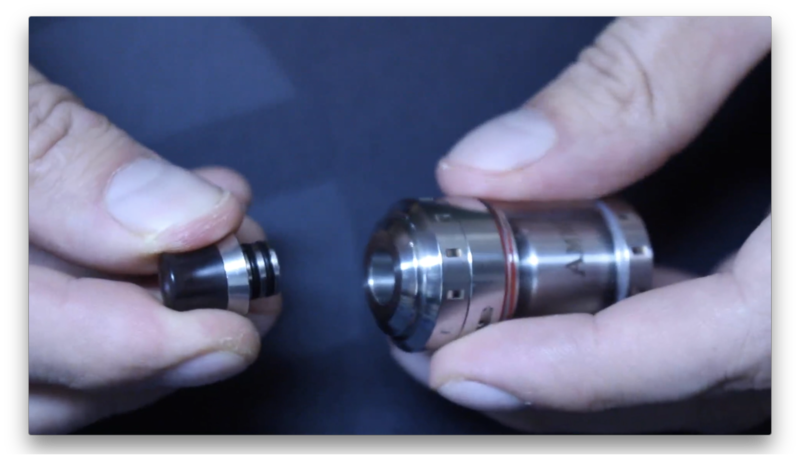 The fill ports are nice and big and easy to use for any e-juice bottle. One thing I find particularly nice about this tank is the juice capacity. 4ml of e-juice is quite a bit of e-juice. This tank has 12 different airflow options, so you should be able to find the perfect airflow for your needs, but keep in mind that this tank is designed to be a tight-draw tank. 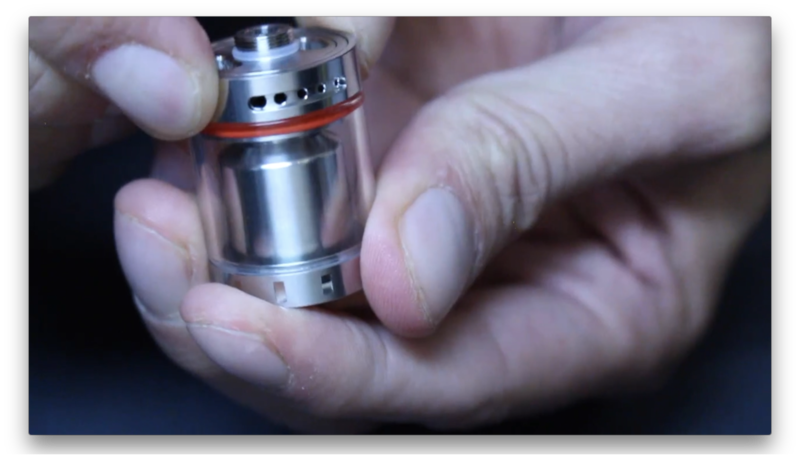 On one side of the tank, you’ll find a wide airflow slot with five holes of various sizes. With all of them open, you’ll get a pretty airy, but restricted draw. And you can reduce that as much as you want. Then if you close all of those holes and turn the tank around to the other side, you’ll see a single airflow hole that can run through each one of those various holes, so you can really tighten the draw on this tank. On the smallest hole, you’ll get a very tight draw, probably as tight as you can get without shutting it off, so I think you’ll find something you like with the airflow on this tank. This is a single coil rebuildable deck. There are two posts using Phillip’s screws. This tank is super easy to build. Just put a coil in and snip the leads off in the back. It’s really easy. The originally packaged coil is a 3mm inner diameter coil built with 26 gauge wire with eight wraps and comes out to about 1.0 ohm. Based on those specs, this is probably Kanthal A1 wire. I’ve also tried fitting basic round wire builds of 4mm and 3.5mm inner diameter and those are really tight fits. The 4mm coil shorted out on the chimney, so I think that’s just too big. 3.5 pushes it. I think 3mm or smaller is perfect, which makes the most sense for an MTL tank like this anyway. You have to wick this one very carefully or it’ll have a hard time soaking up the e-juice in the tank. When you put the cotton in the wicking holes, you want it to be fairly loose. If you feel like you’re having to really stuff cotton in there, you’ll probably need to trim some off. And since this tank isn’t really designed for cloud chasing, it just doesn’t wick extremely fast, so smaller coils and thinner wicks will work the best. I tried building a 4mm diameter coil and I felt like the cotton was thin enough, but nope, it just wouldn’t wick. Even after letting it sit for a full day, it was pretty dry. I get the worst dry hit of my life on that one. Geekvape calls the intake airflow on the deck a 3D airflow system. I saw RIP Trippers review of this tank and he argued that it wasn’t, but I think technically, at least based on the definition of 3D, it is. Airflow comes in from three angles and surrounds the coil so that sounds like 3D airflow to me. Not that it really matters. But either way, it seems to work nicely. The airflow wrapping around the coils creates some pretty good flavor. It’s definitely not like what you’d get from a high wattage mesh coil tank, but this good for a low wattage MTL vape. I have no complaints. It performs very well in my experience. The flavor is good, the airflow is smooth, and I can take hit after hit and I don’t get any dry hits at all, as long as I wick it right. Like other people have mentioned, the tank tends to get a bit of gurgle, especially the more closed off the airflow is, but that doesn’t affect the performance at all. No spit back or anything. So if you’re in the market for a rebuildable MTL tank like this, you can pick it up from heavengifts.com (affiliate) for about $32.90.